Comments The Blue Sapphire is a phenomenal gemstone. Aside of myths and legends that shroud this enigmatic gem, each stone has a different feel and a different story to say.Featured today is a beautiful Natural Ceylonese Blue sapphire, the kind whose color is reminiscent of a mid summer night sky with the cicadas giving the background score! And what a feel good factor it is. When you combine a feeling of bliss and a life of depth, this is what you get. 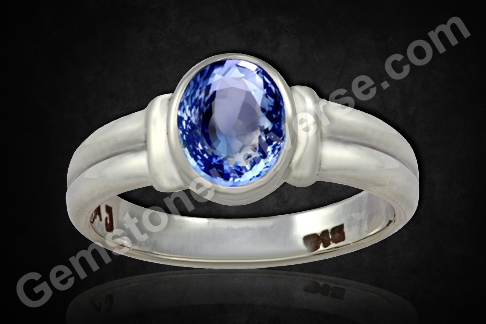 This enchanting 2.38 carat, deep sky blue color cushion cut gem from the Ratnapura mines of Sri Lanka has been set in Sterling silver as a Blue Sapphire Saturn Talisman Ring. 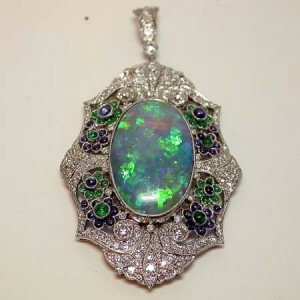 Note the uniformly spread color and brilliance and lustre of the gem. Blue sapphire or neelam is the gemstone of Lord Saturn / Shani and a talisman made of Blue sapphire duly consecrated and energized can beget the wearer manifold benefits from a well placed Saturn in the brith chart. Note : Thank You Dear Patron for your video testimonial. Featured today is a natural Ceylonese Blue Sapphire of an intense sky blue color, similar to that of the clear blue spring time skies. 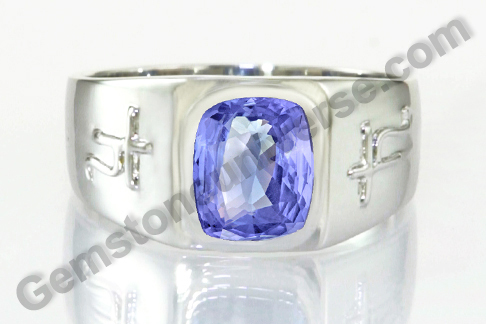 This amazing gemstone of 3.52 carats has been set in sterling silver as a Saturn Talisman ring. Note that the symbol of Lord Saturn/ Shani stands out in relief on the shanks of the ring. 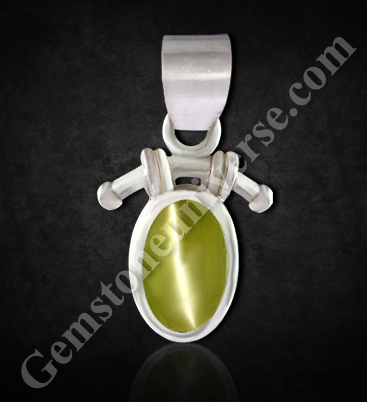 The clarity, uniformity of color and exceptional lustre give a tremendous appeal to this neelam gemstone. According to Vedic Astrology or the ancient science of jyotish, the gemstone Blue sapphire also known as the Neelam stone, is dear to Lord Saturn and is a repository of his divine saatvik energies. A duly energised and consecrated talisman made with a blue sapphire can beget an individual the benefits and blessings from Lord Saturn. Take a look at this Ruspoli Sapphire which possibly started its journey from the hands of a wooden spoon maker and passed through the hands of Roman, german and French royalty before ending up in National Museum of Natural History in Paris. This behemoth – blue sapphire of 135. 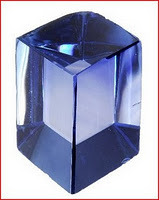 80 carats, is a simple cuboid with six faces, practically flawless, with just a feather in it and a crystal inclusion. 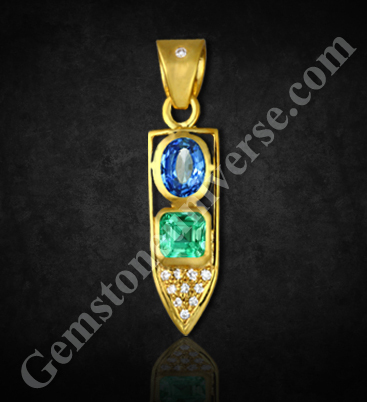 Comments The enchanting gemstones and deep fascination go hand in hand. Among gems too, rubies hold a special place… Forever the symbol of passion, courage, beauty and royalty, rubies have thrilled the human sesnses.Featured today is an exotic african lovely – a stunning scarlet purplish red natural, unheated, untreated ruby of 1.42 carats from Madagascar. The splendid gem has been set in 22 karat gold as a Sun talisman ring. 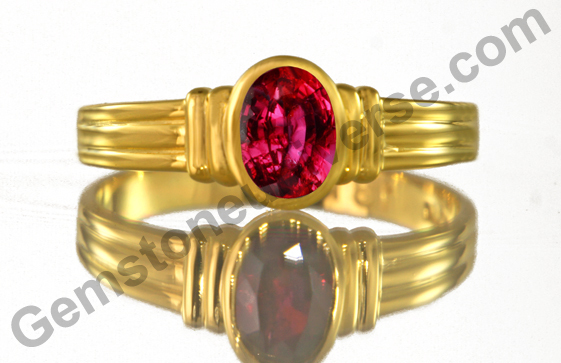 Ruby or manik as it is known is the gem of the King of the Zodiac – the Sun! Sun or Surya’s energy can be harnessed and benefits can be got by wearing a natural ruby talisman after due consecration. The charm of rubies is matchless and people especially, royalty and in positions of power have favoured this particular gem. It is commomn knowledge that Heads of state often exchange gifts when they visit other nations. Interestingly, when the ritual annual list of the gifts received by Obamas in the first year as the First Family of the United States, it was highlighted that King Abdullah of Saudi Arabia had gifted among several other pieces of expensive jewelry, a set made with finest rubies and diamonds worth $132,000, to the First Lady Michelle Obama! However, just for you to know, by law, most gifts to U.S. officials must be turned over to the government and the jewelry has already been sent to the National Archives. 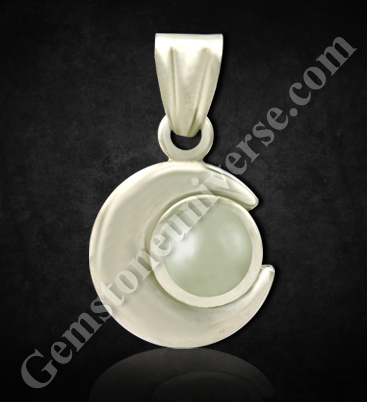 Comments Now this is what you call splendid and unique!Featured today is a Triratna Pendant – a 22 karat gold talisman that celebrates the harmonious friendship of the three planets – Saturn, Mercury and Venus. 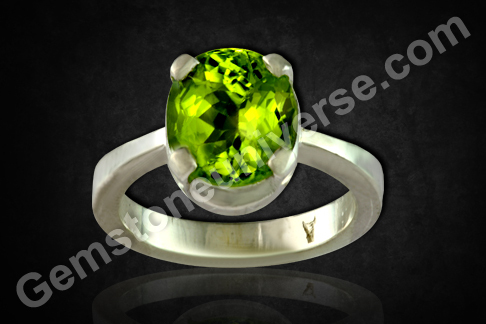 If you are an individual who does not like too much bling happening on your fingers, this is the perfect method of harnessing the energies of all three planets. The discerning patron specially ordered this Triratna Pendant and it was made so to his liking. 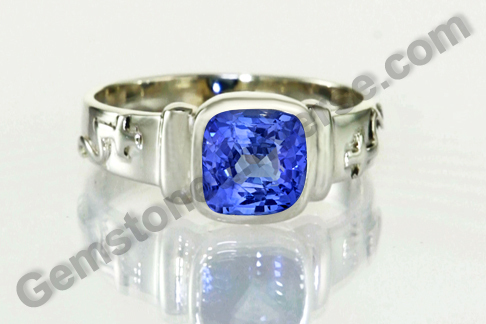 It has a striking oval shaped Ceylonese Blue Sapphire of 1.70 carats with a mesmerizing electric blue color and great lustre at the top. 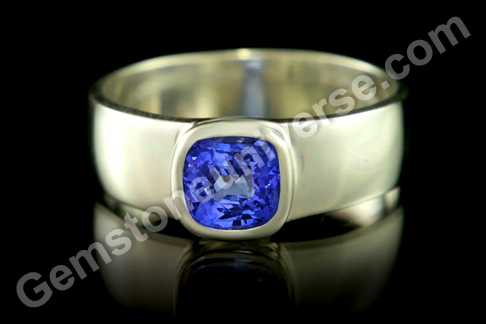 Blue Sapphire or the neelam stone symbolizes the energies of Saturn/ Shani. 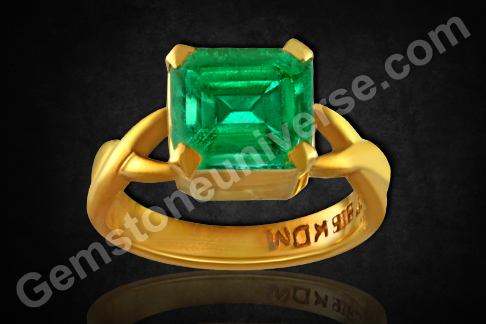 In the center is a magnificent Colombian Emerald of 1.50 carats, that has been cut in the classic ‘emerald’ or the step cut. This colombian beauty has fantastic clarity and early summer grass green color. 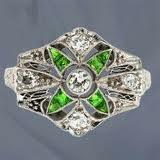 Emerald or panna as it is known symbolizes the energies of Mercury or Budha according to Vedic astrology. The design finally tapers down with 10 flawless jyotish quality diamonds channelizing the energies of Shukra/ Venus. The pendant bail has another single diamond set in it, giving the design a touch of class and setting it apart from the rest. Saturn, Mercury and Venus or Shani, Budh and Shukra are friends or in astrological parlance have naisargik mitrata towards each other. Hence the design with the elements is rendered possible. Please note that in Vedic astrology, a planet in relation to another planet is naturally friendly or naturally inimical to the other.